The January 2017 housing market shows continued strength for the coming year. 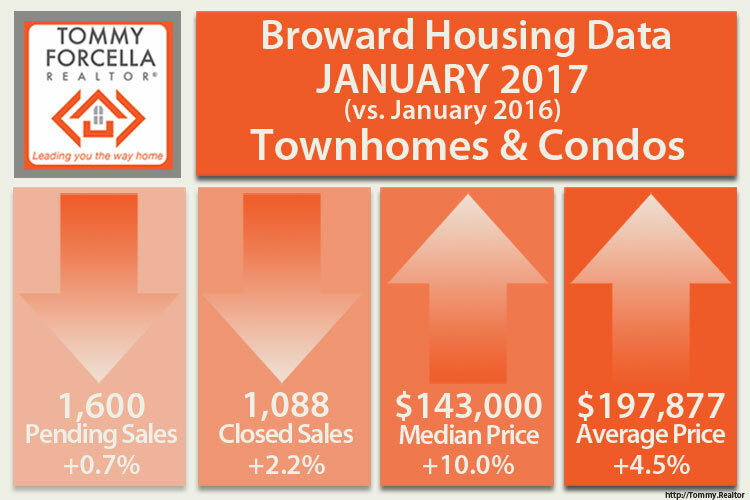 Median Prices and Average Prices are on the rise for both single-family homes and condominium/townhouses. Distressed property sales continue to drag down overall statistics, with a 45% drop in those properties over last year. 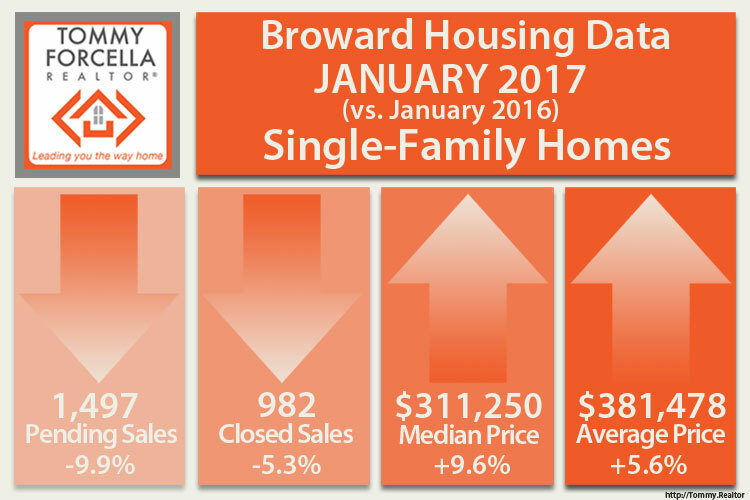 Excluding distressed properties (short-sales & foreclosures) from the market results in a 9% increase in Single-Family Homes Closed Sales. Inventory of single-family homes is still lower than January 2016, with 7.2% fewer available homes overall, with the biggest reduction in homes priced under $200,000. Inventory for single-family homes above $400,000 is higher than last year, by 14-16%. However, new listings for homes price between $200,000 and $250,000 increased by 13.4%. It is still a Seller’s Market for single-family homes with only 3.8 months of available inventory, representing a 9.5% drop over the same period last year. The condominium & townhouse market is stronger than last year, due to the large drop in distressed properties. Short-sales declined by 66.7% and foreclosures by 44.2%, with the combination only representing 9.5% of total sales in January 2017. Excluding distressed properties form the Closed Sales figures yields a 14% increase over last year. It’s basically a balance market for condos and townhouses with 6.4 months of available inventory. Notes: Statistics for each month compiled from MLS feeds on the 15th day of the following month. Data released on Wednesday, February 22, 2017. Data revised on Monday, January 16, 2017.